A group of 186 individuals attended the student-organized Christian weekend revival held at JA in October for students in seventh through twelfth grades. 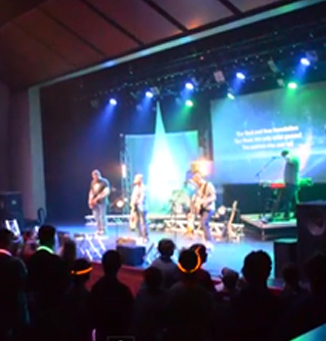 The weekend focused on “purpose” with sessions led by David Hederman and worship time led by Rich Price in the PAC. In host homes, senior class members facilitated discussions that expanded on the retreat topic. Participants also enjoyed games and sports. Students came away with many valuable lessons, including not judging others, bearing out God’s image in their lives, and God placing them where they need to be. Others commented that the retreat taught them the necessity of trusting God to find their purpose. Attendees noted in the evaluations that the event was well planned and executed. Students commented that they valued how older students provided leadership for younger students, creating opportunities to find a mentor on campus that younger students could emulate. Student leaders included Luke Ross, Josh Hinkle, Allie King, John Sharp Kirk, and Steven Irby. Students who attended said they hope the retreat will be repeated next year.